As for the issue of drinking water safety, hazardous pollutants, such as Cadmium and MB, in water could bring damage to human health due to their non-biodegradable properties and toxicities. To remove water pollutants, several methods, available in recent years, which employ nanomaterials that possess large surface area and special structure, attract intensive attention in scientists. And the nanomaterials with functional groups, if modificated, would be with potential to achieve high adsorption performance. Given this, a study team, led by associate Prof. KONG lingtao and Prof. LIU jinhuai in Institute of Intelligent Machines (IIM), Hefei Institutes of Physical Science of the Chinese Academy of Sciences developed an eco-friendly graphitic carbon nitride (g-C3N4) nanosheet adsorbent to remove Cadmium ions (Cd2+) and Methylene blue (MB) from aqueous solution. Researchers presented a simple and large yield synthesis route for g-C3N4 through the pyrolysis of urea under ambient pressure and the pyrolysis-generated self-supporting gas surrounding. The g-C3N4 consists of highly ordered tri-s-triazine (C6N7) units, which enable easy stacking via hydrophobic effect and interaction. 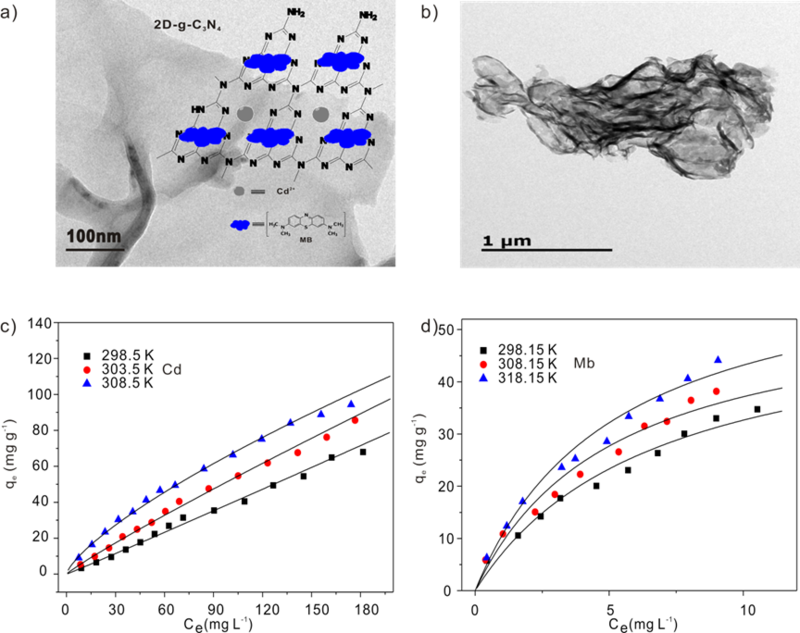 A large number of experiments prove that this new material has high adsorption capacity to efficiently and rapidly remove Cd2+ and Mb pollutants in water without secondary pollution and could realize regeneration and recycle. In addition, the study further explained the mechanisms of pollutants adsorption on g-C3N4. The study indicates that g-C3N4 could be used as a kind of adsorbent with potential to remove extensive pollutants from aqueous solution. The paper with title A 2D-g-C3N4 nanosheet as an eco-friendly adsorbent for various environmental pollutants in water was published in Chemosphere and receives high evaluation from the reviewers. This work was supported by the National Natural Scientific Program-Nanoscience and Nanotechnology (Grant No. 2011CB933700), the Natural Science Foundation of China, and key technologies R & D Program of Anhui Province. 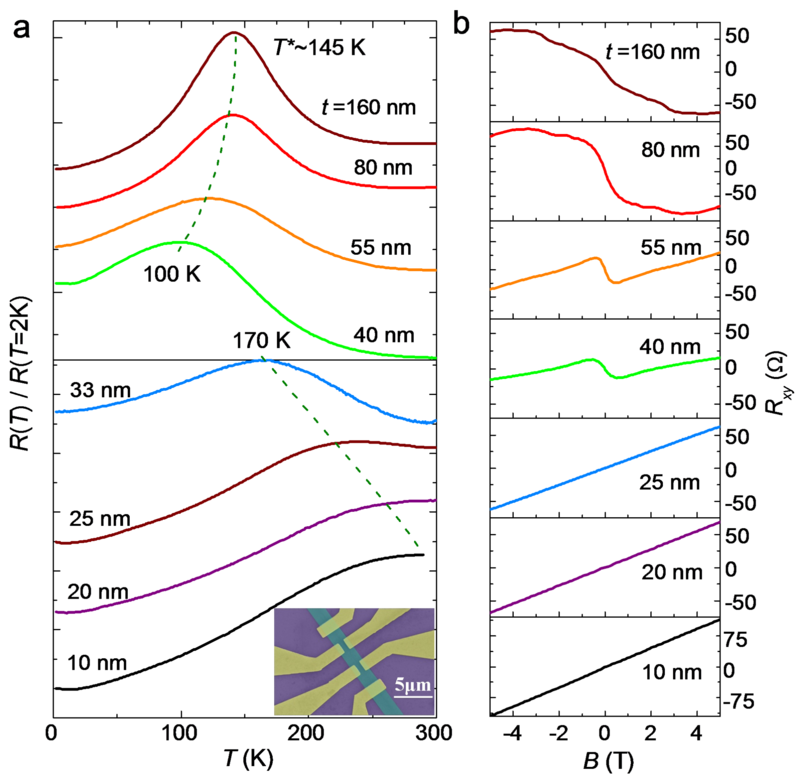 Recently, researchers at High Magnetic Field Laboratory, Chinese Academy of Sciences (CHMFL) discovered thinkckness-tuned transition of band topology in ZrTe5 Nanosheets. Their work was detailed in Phys. Rev. B. The research group led by Prof. YANG Weishen from Dalian Institute of Chemical Physics has made a progress on the exploration of MOF nanosheets and developed a novel MOF nanosheet-Zn2(Bim)3 for the first time based on their previous work.